I have spent a lot of my free time this July playing golf with Max and his friends. I can&apos;t believe how strong Max&apos;s game is despite hardly playing golf this year until July. During the week, Max has been waking up early to go to Torrey Pines to play the south course twice a day. He walks on as a single and has had no problem. The south course is fantastic but a little too much pain for my game. Today we played the north course which has been rejiggered by Tom Weiskopf. I think it&apos;s fantastic and by the time Max finished today, he agreed. The stretch of holes 14-16 are really magical along the Pacific. And here is his drive off 16 with our new friends we made today goofing off in the background. 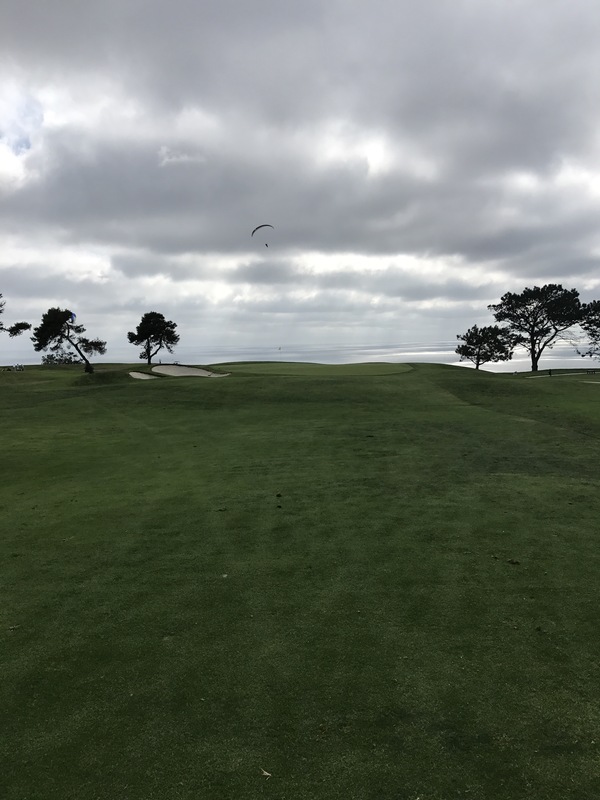 I&apos;m glad I finally took advantage of the amazing Torrey Pines public facility in La Jolla.